Palmerbet’s daily NBA preview highlights the feature game between the Miami Heat and Golden State Warriors, along with NBA tips for all other matches being played today. Final Thoughts: Miami are clinging to their spot in the top half of the Eastern Conference after falling in a hole recently. Things don’t get any easier for the Heat with a road trip to take on the red-hot Golden State Warriors. The 25-28 Heat have lost eight of their last 12, including four of their last five. They upset the Trail Blazers in Portland – largely thanks to an on-fire Hassan Whiteside (28 pts, 11 reb, 4 stls) – but went down at Sacramento in their last outing. 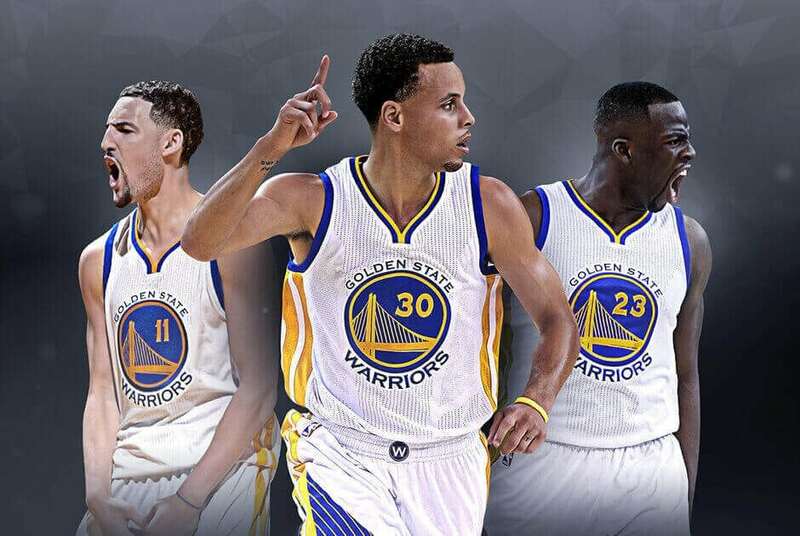 The 39-15 Warriors sit atop the Western Conference after winning 14 of their last 15 games. Following Steph Curry’s points bonanza in January, Klay Thompson has taken the scoring reins in February, racking up team-high tallies in three straight wins over the Lakers, Spurs and Suns. Eight of the defending champs’ 13 wins have come by margins of 14-plus. Only one of the Heat’s last seven losses were by more than 12 points. Golden State have won seven of their last eight against Miami, including four straight at home. Last season the Warriors won 97-80 at home, before carving out a 123-95 away win with Steph Curry dropping 30 points. The Heat are a handy 13-6 against the line in their last 19 games on the road and an overachieving 14-12 away overall. The Warriors are 20-7 at home but only 4-11-1 against the start in their last 16. An upset for the $9.80 outsiders seems unlikely, but the Heat are the sixth-ranked defensive team in the NBA and can frustrate the Warriors enough to make them a solid option in line betting.